Breaking News! 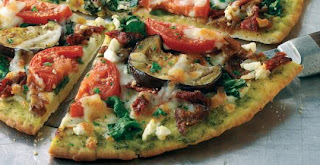 Uno Chicago Grill hast just issued a press release announcing that it will now offer gluten free pizza nationally!!! Wow, this is really great. I have yet to try it but will be going to an Uno spot as soon as possible to try their deep-dish GF pizza as soon as possible. Unfortunately for us Angelenos, the closest Uno location is in San Diego. Oh well, guess I'll just have to make a trip down to visit a college friend and indulge in some pizza...!